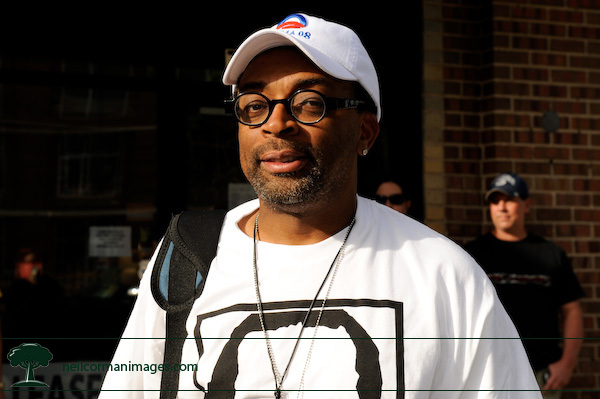 Spike Lee was spotted in Denver during the Democratic National Convention outside La Rumba nightclub on 9th avenue. He was hanging out on the sidewalk waiting to head to the Pepsi Center on the third night of the convention. As you can see, there is no mistaking who he is supporting this presidential election cycle. When asked questions about helping out on the campaign as well as another questions, he slid in a Yankees and Mariano Riveria reference as being similiar to his role at this time.